10806 Woodtwist Ct is a stunning 4-bedroom custom-built ranch home on a private half-acre lot that sold in ten days. This was truly a great home. If you're looking for a great home, contact the Hollinden Team for more information about homes for sale in this area. 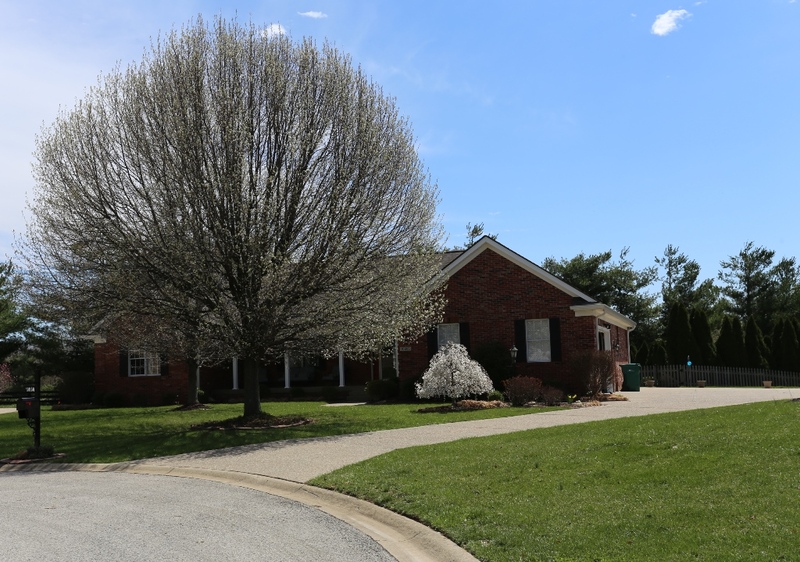 You will find this all brick home the highly sought after Glenmary subdivision in Southeastern Jefferson County. Recent upgrades and remodeling make this Glenmary home for sale a great choice with a new roof and gutters in 2012 and new AC unit in 2013. Recent remodeling added to the gourmet kitchen with stunning granite countertops. If privacy is important, 10806 Woodtwist Court is located on a cul-de-sac and backs up to a 39-acre farm. This makes it perfect to enjoy the sparkling 20 X 40 in-ground pool. The patio and pool area are designed to make outdoor entertaining a breeze. This video will give you an overview of the property. You are welcomed into this home with a grand foyer that opens up to a great room with vaulted ceiling. The focal point would be the brick fireplace. From here, we are invited into the eat-in kitchen that has been recently updated. The formal dining room is located off the kitchen at the rear of the house. This entire area is room enough for a BIG party. On a quieter note, the Florida room is a great place to enjoy the morning coffee, or unwind after a long day. This ranch home is a little unusual as there are 4 bedrooms on the first floor; all of which are good sized. The master is large enough for a king bedroom suite, and has its own private entrance to the patio. The basement area is always of interest and about half of this basement is finished. You will find 2 guest bedrooms for those infrequent guests and a full bathroom to give them their own private space. The family room is set up as a media room making this an alternative to the crowd upstairs. Everyone needs storage, and this basement does not disappoint. The racks and shelving helps keep the family members organized. Glenmary Subdivision is conveniently located just outside the Gene Snyder freeway in the 40291 zip code along the Bardstown Road corridor. You will find there is easy access to I-65 to the west. There is numerous shopping and dining opportunities in the Fern Creek area or even at the front of Glenmary. Glenmary offers a golf course, clubhouse and pool membership for an extra fee. If you like what you have seen, give Tim Hollinden of The Hollinden Team at RE/MAX Champions a call today to schedule your private tour at 502-429-3866. If this brick ranch is not the one for you, Tim Hollinden can help you find other Homes in Glenmary. How much is the home on Woodtwist Ct.?